Speaking of the New Year and wanting to be more healthy in 2013, have you thought about how important drinking water is? You know it's important to stay hydrated, and even moreso if you're working out (which of course you ARE because it's your resolution, remember?). We're a family of water drinkers, with the biggest variety being in the choice of whether you'd like your ice crushed or cubed. We hardly ever buy pop (that's what I call soda), and will sometimes have juice. We most always have milk on hand. But let's stop talking about the contents of my refrigerator. Do you drink filtered water? I have filtered my water for years (in a pitcher which sits on my counter because I prefer to drink tepid water rather than ice cold, generally). The problem I have had with this system is the waiting. It takes awhile for the water to drip through the filter and then for the water to be out of the pre-filter section of the pitcher (which needs to be empty before you pour or else you'll spill -- or, at least, I will). This has been especially problematic when I'm running out the door on my way to the gym and still have yet to fill up my water bottle, only to find that the pitcher is empty. So I fill it up and wait as the water drips, drips, drips . . . and then I can hurry off to the gym. You can see how that process would become tiresome. I really like the taste of filtered water, and while tap water can look clean, it still could contain lead and mercury, which is harmful to your health, so I prefer to use a filter. PUR water filters reduce many contaminants found in tap water, including trace levels of pharmacueticals. Also, the EPA and CDC estimate that there are up to 16 million waterborne illnesses per year associated with drinking water. 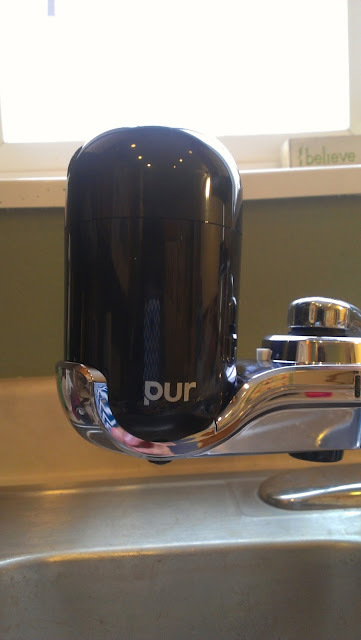 I was glad to receive a PUR water filtration system which hooks directly to my kitchen faucet so that I could see the difference in efficiency of enjoying my filtered water. The installation only required a wrench, and was really quick. I also like how it looks in my kitchen (and now I can get rid of the pitcher on my counter). To use the filtered water, just flip the switch on the side. Don't care for the filtered water? That's cool, just flip the switch back. The PUR Advanced faucet water filter reduces 99.9% of microbial cysts, 99% of lead and trace levels of pharmaceuticals, and 97% of chlorine (odor and taste). Plus, it helps save money AND the planet: think of all the money saved from using a filtered system like this over bottled water. This helps reduce some of the 38 billion plastic water bottles that are discarded in the U.S. every year. This is the newest and most advanced faucet water filter PUR has to offer. It's made with MineralClear technology and is available in two style finishes: black and chrome. Do you drink filtered water? 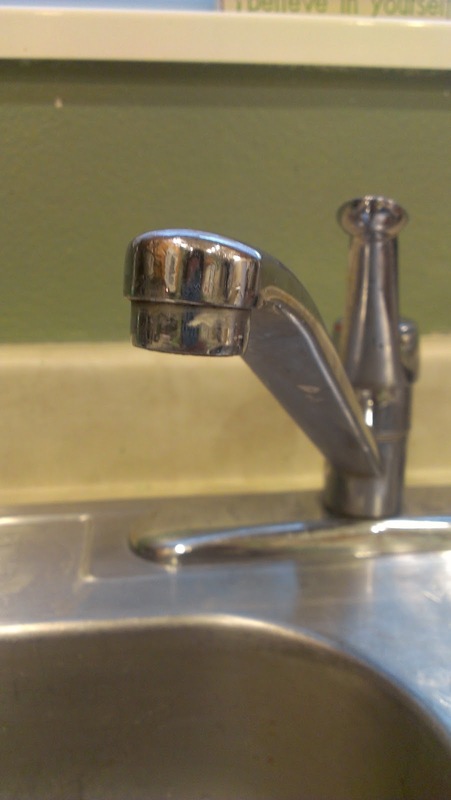 Which faucet filter would you choose, black or chrome? I was provided with a PUR water filtration system and information for this post. All opinions on the product are honest and my own. I really do like this thing. I dig filtered water and saving the planet. We have one of these, and it *is* really easy to clip on.